Turn-key, income producing, beautiful, amazing, and unbelievable are just a few words to describe this prime-time property in Winston County, MS. 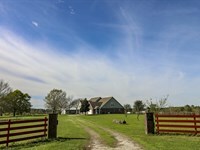 This 352.8 +/-acre farm is loaded to the gills with just about anything you ever dreamed of. If you want to get off the road and start working at home on your own farm, or if you just want a gorgeous setting to call home and lease out the work for additional income, take a look at this place. 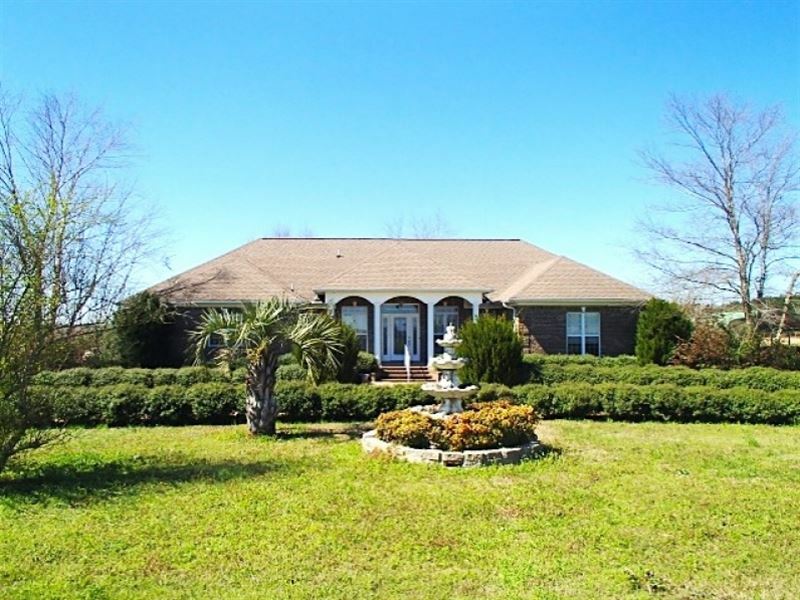 The property consists of a beautiful 2,517 Square foot 3Br/2Ba brick home, 150+/-Gently rolling acres of open farm ground, 182+/-Acres of mature cypress and hardwood bottom land, 20,000 capacity chicken operation in production now, over a mile of paved road frontage on Garrigues and Joe Wray Roads and twelve manufactured home pads with utilities No homes now, all located in a great area in Winston County, just outside of Louisville, MS. All of this and it's loaded with deer, turkeys and ducks a hunting and recreational dream property. Make plans to see this one of a kind property before it is too late. Qualified buyers only. Will sell Chicken Farm Separately. At the center of the property you will find this beautiful 2,517 square foot 3Br/2Ba home. The home offers an open floor plan with a big kitchen looking into the family room. From the custom cabinets to the columns and built-ins in the family room you will surely enjoy entertaining friends and family. There is plenty of room out back on the covered porch and patio for larger get-togethers. There is an office and a huge master suite with his/her walk-in closets lined with custom built shelving. The master bath offers plenty of room with two sinks, a shower and a large whirlpool bathtub. There is beautiful landscaping all around the home and circle drive. The views from any point of the home will take your breath away. Flooring in the bedrooms and family room has been removed, allowing the buyer to choose what they want. The chicken farm consists of two 10,000 capacity houses Built in 1997 and is currently in operation and producing income. There is a new Valco Pax nest system 2015 and recent updates have been made on all equipment. Of the twelve manufactured homes that were once on the property, one remains for the full-time employee that works the farm. If you are interested in adding to the chicken farm there is plenty of good acreage to build more houses. The income potential doesn't stop at the chicken farm. 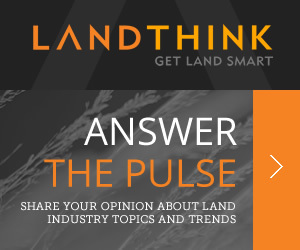 The open acreage has been leased in the past for corn, soybeans and hay production. The property offers about a mile of frontage on Garrigues Road, half of that being good frontage, and another mile fronting John Wray Road. This adds a lot of value to the property and opens up more options for development into additional home sites. Also the twelve pads with utilities already run to them, that were used for manufactured home sites, can be turned back on for more income if one chooses to do so. The work has already been done, just add the homes. All of this income potential exists with little development cost needed. Or, just leave it alone and enjoy the spectacular views. Now for the fun stuff. This property is loaded with deer and turkey. I know because I've seen them out in the open in the southern most field The Killing Field. It was covered in turkeys and deer on my initial inspection of the property. 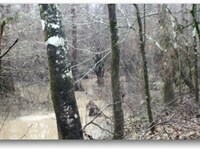 What really stands out is the opportunity to bust ducks in the back water sloughs and flooded timber off of Town Creek. 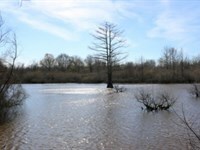 182+/- acres of bottom land is covered up with some of the biggest cypress trees and hardwoods around. It is truly amazing, I wish it was mine. One look at this place and you will understand. When calling broker, please say, "I found your listing 352.8 Acres With A Home In Winston on FARMFLIP."